Q. Does DU Libraries have Sanborn maps? 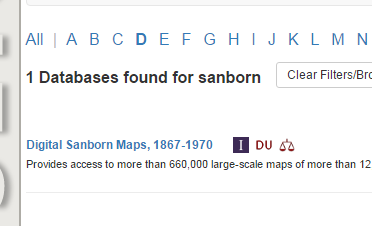 To access from the library's website, search for "Digital Sanborn Maps", or even just "Sanborn" in the Databases search box on the library homepage..